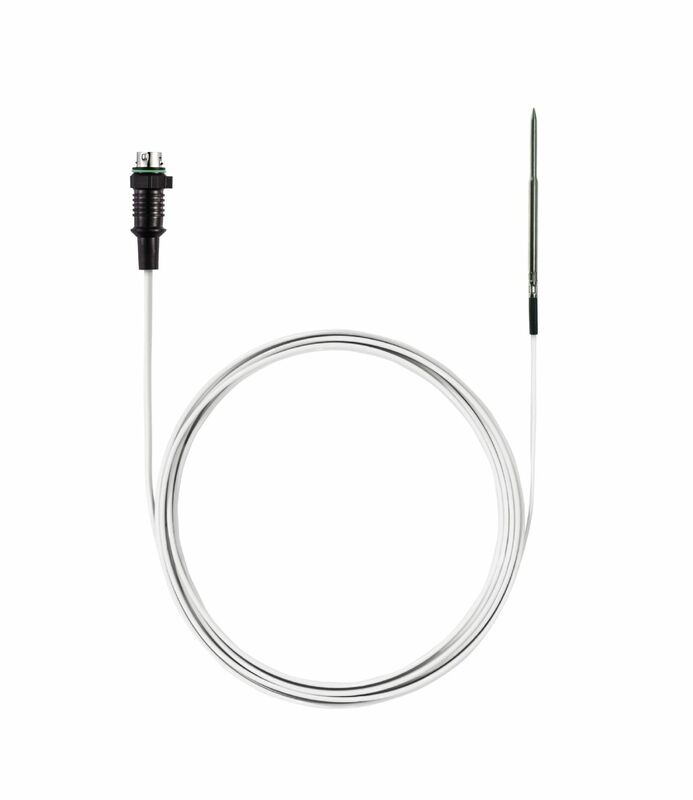 This temperature probe featuring a penetration tip is suitable for temperature measurements in pastes and semi-solid media and also in liquids and air. 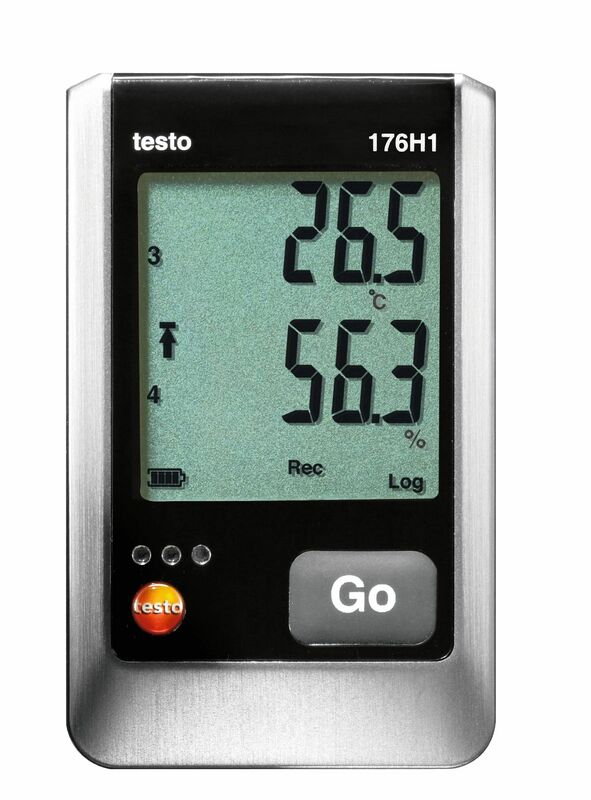 Thanks to its NTC sensor element, the probe provides precise temperature measurements with an accuracy of up to ±0.2 °C. The temperature probe features a thin, 2 m long ribbon cable. The ribbon cable can be pushed through narrow openings such as slits in doors or refrigerator seals. Protection class IP 54 means that the temperature probe is protected against spray water. Don't see the temperature probe you are looking for? Please contact us directly. We have a large range of standard temperature probes and we also manufacture customized probes specifically according to your personal requirements. *For air temperature measurements, the response time is about 40 – 60 times higher than the indicated value measured in water. If you should require a rather sluggish temperature probe to measure air temperature, this probe is particularly suitable because it does not take brief temperature peaks into account at all, or only to a very small degree, when measuring temperature. 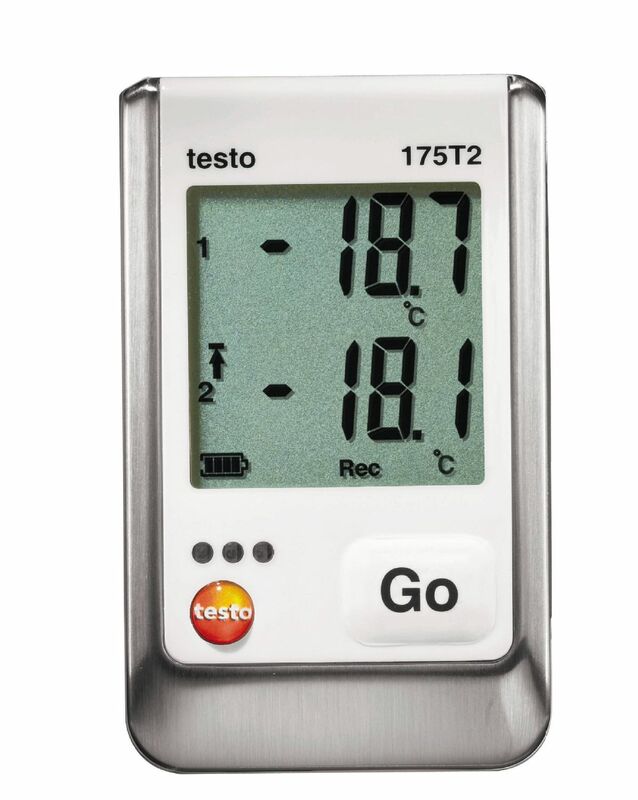 For example, if you are planning to use this probe to measure air temperature in the refrigerator, briefly opening the refrigerator door would not take into account the temperature fluctuation which results from mixing the warm room temperature with the refrigerator temperature. 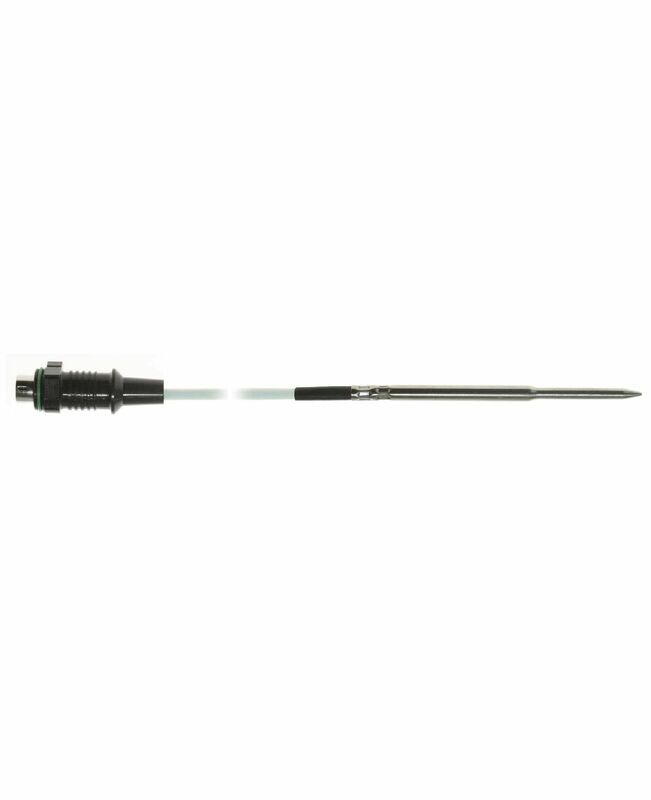 If you need an air temperature probe with a fast response time, your best choice would be the exceptionally fast temperature probe 0602 0493 which has a large measuring range. 1 x NTC temperature probe 0572 1001.